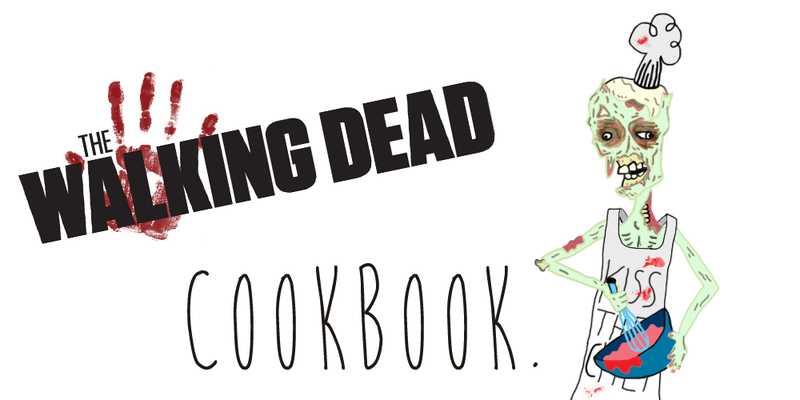 The Walking Dead Cookbook | I Review Too . . .
Bring half a pint of water to the boil and simmer. Add in the garlic, peppercorns and herbs. After 15 minutes slowly lower the delicious brains into the pot and simmer for a further six minutes. Remove the brains and allow them to cool. When they’re cold and solid, separate the lobes into bite-size chunks. Next, prepare three bowls with flour, whisked eggs, milk and breadcrumbs. Heat the oil, roll each brain chunk in flour, then egg, then coat it in breadcrumbs. Deep fry until golden brown and crispy, it should take around 3 minutes. For the green sauce, finely chop the herbs and mix with garlic, capers and olive oil. Season with black pepper. Put the steaks in a shallow dish and add the red wine, worcestershire sauce and garlic. 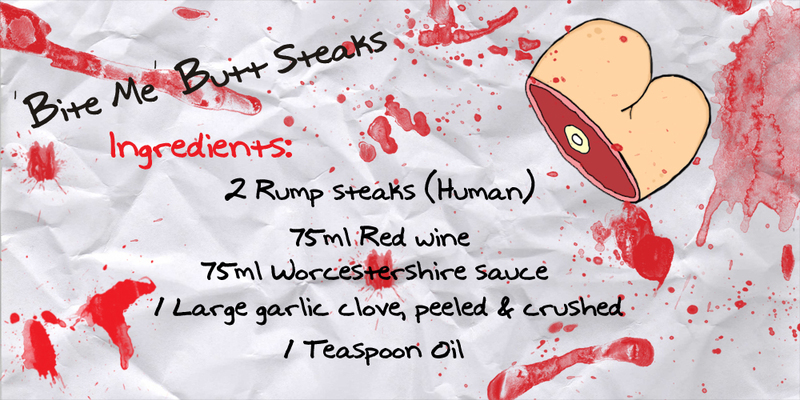 Pour it all over the steaks. Cover this with clingfilm and leave in the fridge for a few hours, maybe even overnight. When you’re ready to cook, drain the steaks and keep the marinade. Put a frying pan on a high heat until it’s hot. Sear the steaks for 4 minutes on each side and 2 minutes before you take them off the heat, throw in the marinade and let it bubble. Once it’s reduced by half, remove the steaks from the pan and serve. Clean tongue well in cold water and place in a pot. Cover in around 3 inches of cold water and add the remaining tongue ingredients. Cover up the pot and bring it to the boil. Simmer until the tongue is tender and pierceable with a fork. This may take up to 3 hours. 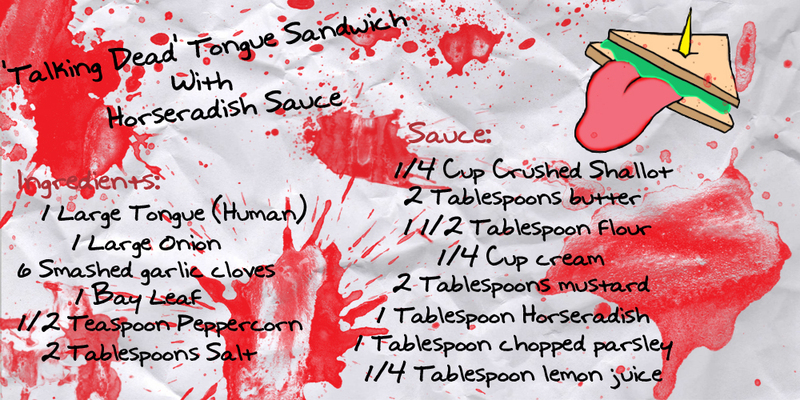 Remove tongue and eat any excess fat, skin or gristle, you know, because you’re a zombie. For sauce, cook shallot in butter until softened. Add in flour and cook whilst whisking for around a minute. Gradually add cream and bring to the boil until thickened. Whisk in the mustard, horseradish, lemon juice and salt and pepper. Stick tongue between two slices of bread, add Worcester Sauce and start eating mindlessly with a vacant stare, like usual. 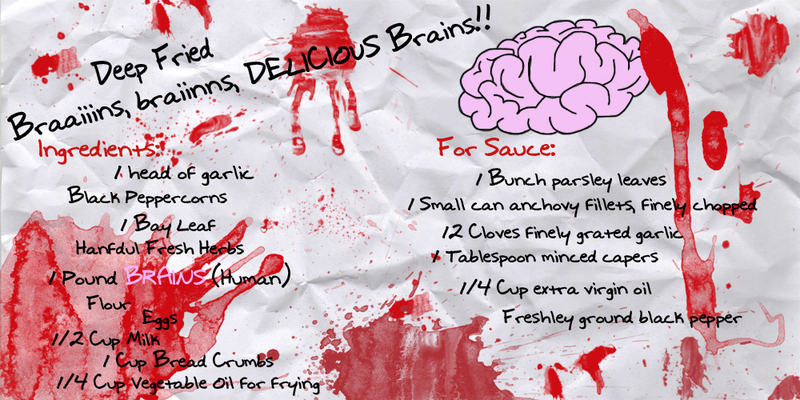 Got any other succulent suggestions for The Walking Dead Cookbook? Let me know in the comment section below!